Which GoPro camera model is the best for me? Home/Dive Shop, News/Which GoPro camera model is the best for me? 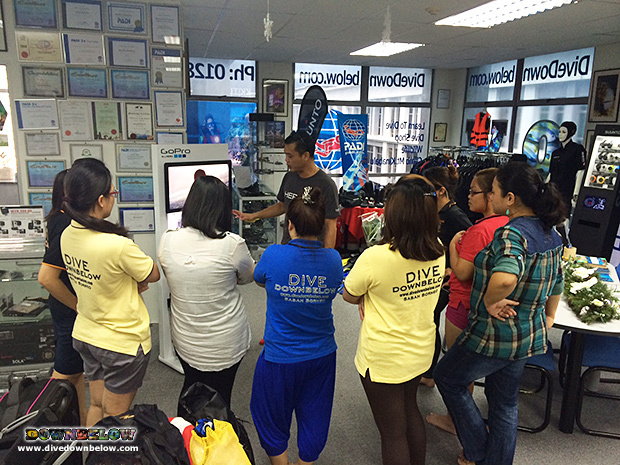 A lot of customers at our Kota Kinabalu Dive Shop ask, ‘which GoPro camera model is the best for me?’ and, according to GoPro Trainer Simon, it really depends on what your needs are. When launching the latest GoPro camera model Hero4, Simon offered his own experience using the GoPro range in various adventure activities, particularly with scuba diving because it’s what we specialize in. It was an eye-opening discussion on the meaning of the various specifications of the GoPro models. HERO4 is for the advanced user with an eye for the exceptionally professional-quality recording, and also its features are very user-friendly for the amateur user too! Our Sabah Travel Centre staff are avid fans of the GoPro range in general and we conduct product training to broaden our knowledge as well as maintain our exceptional customer service. Come visit our Kota Kinabalu Dive Shop to speak to our Supervisor on all things GoPro, and start recording your travels, especially when travelling Sabah, Borneo! By Joanne Swann|2014-12-30T14:40:44+08:00December 29th, 2014|Dive Shop, News|Comments Off on Which GoPro camera model is the best for me?